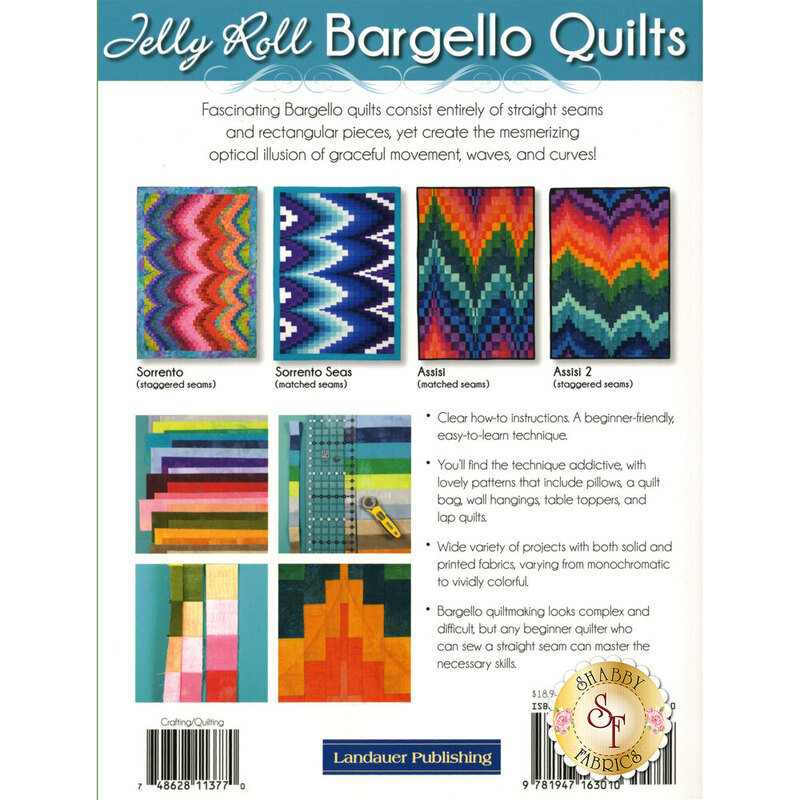 Quilt to your heart's delight with this lovely Jelly Roll Bargello Quilts book by Karin Hellaby. This book features over 14 beautiful Bargello style projects, as well as how-to instructions, complete with visual diagrams and step by step photography. The quilts featured in this book have a complex style, but with 2½" strips, even beginners can bring these beautiful quilts to life! Let Karin Hellaby teach you how to make gorgeous table runners, pillows, wall hangings, and lap quilts in Jelly Roll Bargello Quilts today!